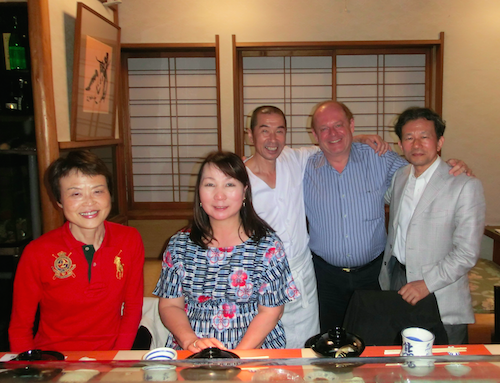 Through his work as deputy chairman of the Australia-Japan Foundation and as the Honorary Consul General of Japan in Adelaide, Mr Adam Wynn has contributed greatly to the enhancement of business and cultural relationships between Australia and Japan. In recognition of his outstanding contribution, Mr Wynn has been awarded the Order of the Rising Sun, Gold Rays with Neck Ribbon - the third highest order bestowed by the Japanese government. Go Go Adelaide spoke with Mr Wynn about his thoughts on receiving the award, his Japanese studies, and playing the keyboard in a Japanese rock band. It's called the Order of the Rising Sun, Gold Rays with Neck Ribbon (Kyokujitsu-shō), and it's the highest general order awarded by the Japanese government on behalf of the Emperor (the first two orders being reserved for heads of state and senior politicians). The Emperor announced it in spring and it was on the front page of all the newspapers. It's really quite an honour. The reason I've been given the award is because of my work as the Consul General, which I've been doing for fifteen years. Prior to that, I was deputy chairman of the Australia-Japan Foundation, which is a federal government body charged mainly with education exchange, so we were responsible for teaching exchanges, and scholarships for Japanese teachers to come and study in Australia. Prior to that, I had been promoting wine in Japan, but also promoting Japan in the sense that we hosted a chef from Kyoto (one of the most famous chefs in Japan) and he did a series of dinners for us in Melbourne and Sydney, cooking the sort of food that had never been cooked here before. It's a great honour to be recognised as such, and it's a big deal for my family and friends in Japan. It's been a great pleasure and a joy to work as the Consul General. I couldn't hope to represent a more hard-working, peaceful and amiable group of people as the Japanese. We're usually there for 2-3 months at a time, and we travel and visit relatives and friends. 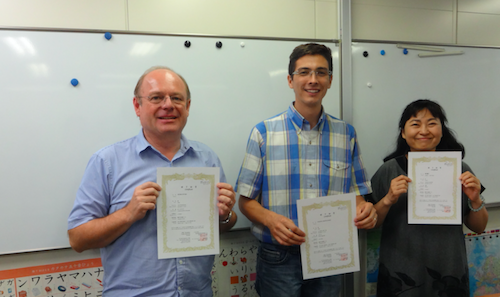 I've also been going to school in Tokyo to study intensive Japanese. I study three hours a day, five days a week. Now I can talk with my relatives and non-English speaking Japanese. I can understand quite a lot of the news now, and participate more in what's going on around me in a way that I couldn't before. The other students are of all different nationalities. They're living and working in Tokyo, married to Japanese or living with Japanese. So it's interesting because I see Japan through their eyes. It's fantastic, I'm really enjoying it. The other thing that I've been doing is playing keyboard in a local rock band. 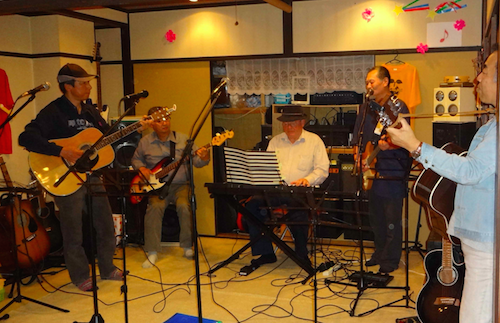 They play Japanese pop music from the 70s and 80s, and they also write a lot of songs themselves. They are seriously good! I'm humbled to be playing with them. Three weeks ago we were playing at the summer festival in Sugito, the local village, before thousands of people! It's great to be able to participate in local festivals rather than just going to them. The way Japanese people participate in those festivals is wonderful everybody gets involved. People are really having fun, there is real, unrestrained joy. It gladdens the heart to see something like that. 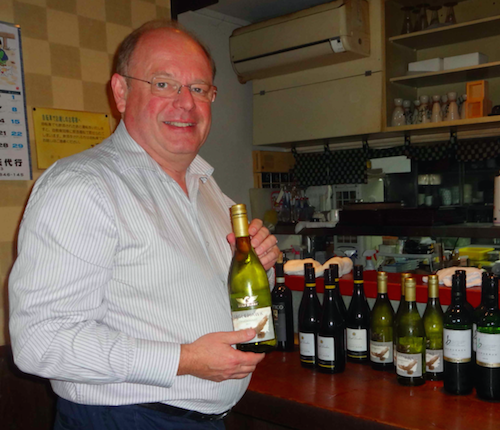 My father went to Japan in 1964 when he tried to export wine to Japan, and he really fell in love with the country. Our house in Melbourne had a very Japanese feel to it. It was a modern house, but aspects of it were Japanese - it had shoji screens and a rock garden in the courtyard. 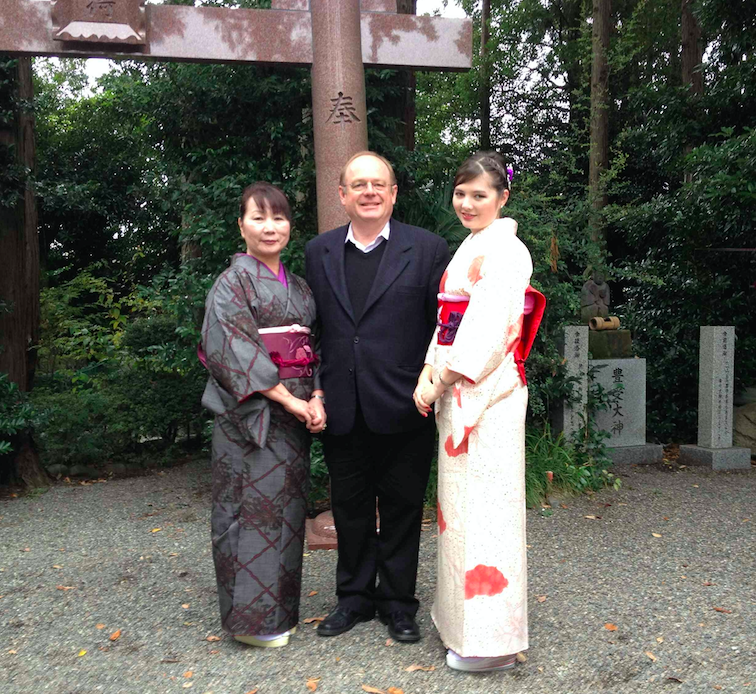 Another reason for my interest in Japan was meeting my wife Tomono, and then meeting her family, thirty years ago. As I was operating a winery (Mountadam) at the time, I decided to make a go of exporting wine to Japan. So I've been going to Japan twice a year for thirty years. It's a wonderful place to do business and to market, because you can talk quality if you've got a quality product. 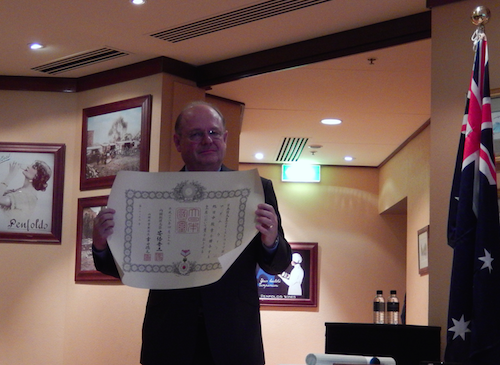 Business does take time in Japan, but once established, the business relationships are so loyal. The mountains in the Japanese Alps around Nagano are so beautiful. It's hard to find 'untouched Japan' these days, but we were recently on the Nakasendo Road, and that still has parts that are virtually untouched - it's a beautiful part of the world. There's one town called Tsumago where they have a curfew for cars, and all the buildings are the same as they were 400 years ago. It's probably the most perfectly preserved village in Japan, it's really beautiful. The other area we enjoy is the Noto Peninsula, for much the same reason. It's pretty rough because it's exposed to the winds of Siberia, but there's a rugged beauty and it's still very untouched. Every day in the town of Wajima they have a fish market in the streets, and there aren't a lot of supermarkets or convenience stores. When we were first in Japan on business, we had an agent who had grown up surrounded by the food industry and was a food fanatic he knew all the top chefs and all the top suppliers. He showed us around Japan, taking us to the most extraordinary restaurants, some of which we needed a special invitation to go to. He would put us on a bullet train to eat one meal and then come back again 1000km round trip! His knowledge was second to none. That was really memorable, I was very lucky. 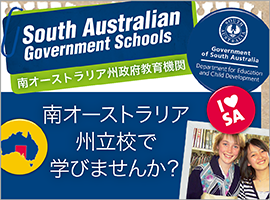 I always try to look after any Japanese school groups or visitors that I come across in Australia, because I have a debt of gratitude for the way I've been looked after in Japan. I want to keep studying and become increasingly proficient in Japanese - I'd love to be able to read a newspaper. When I'm in Japan I watch the NHK 'shuwa' (sign language) news. It's brilliant, because there are large kanji with furigana, and the delivery is slower. I hope to continue to spend a good part of each year in Japan. We have a house in Sugito (Saitama), and I'm still finding new things around the town even after ten years of going there, so it's an endless journey of discovery. It's been a pleasure working with (and for) the Japanese community. I hope they continue to enjoy Adelaide, and I'm pleased they've recognised what a great city it is to live in. 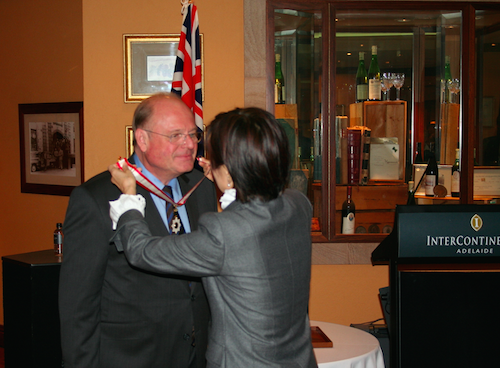 Mr Wynn was presented with the Order of the Rising Sun, Gold Rays with Neck Ribbon at a conferral ceremony held on Wednesday 10th August at the InterContinental Hotel, North Terrace, Adelaide.